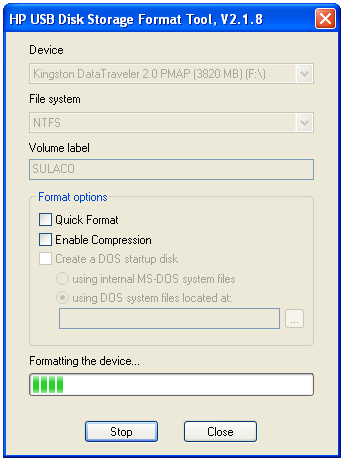 HP USB Disk Storage Format Tool is a Windows- based format utility. HP USB Disk Storage Format Tool allows the user to choose USB drive, while with Windows you cannot do so. This funky piece of software also offers users the option of creating a DOS start-up disk, by either using the internal MS-DOS system files, or the ones located at a specific path. 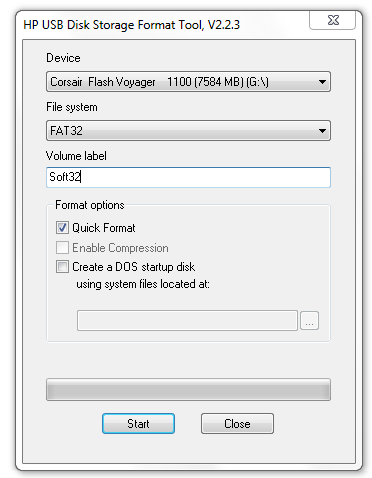 Overall, HP USB Disk Storage Format Tool utility will format any USB flash drive, with your choice of FAT, FAT32, or NTFS partition types.